An excellent partnership between brothers Aidan and Brian Kelleher won the Cork Schools T20 Cup for Presentation Brothers College against the Combined Community Schools selection at the Mardyke on Wednesday afternoon. Chasing 148 and having lost opener Diarmuid Carey early it looked like the boys from the Mardyke may struggle, but a fantastic knock by older brother Aidan, ending on 86 not-out, well assisted by fellow-Cork County clubman Brian, saw the reigning champions retain their trophy. 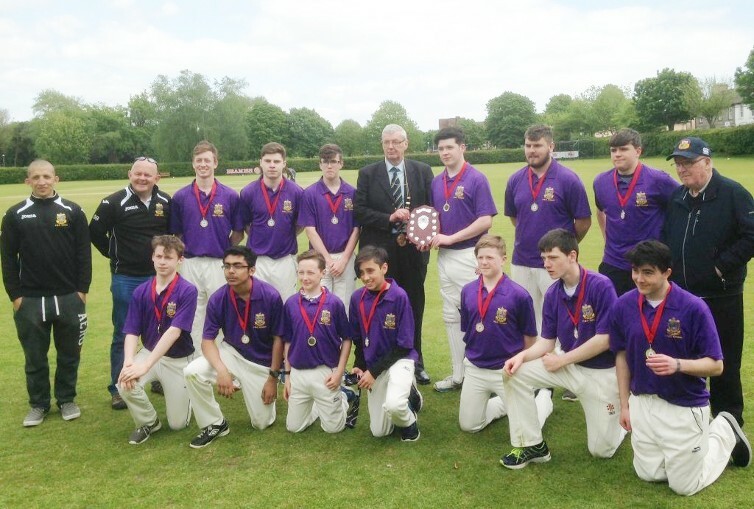 The Combined side batted first, and knew that with openers Seanan Jones and tournament top-scorer Kieran O’Reilly, who averaged 70 with the bat heading into the game, a strong start would be instrumental to their chances and a strong start they got. With Jones leading the scoring and O’Reilly ably assisting, the side passed the fifty mark with the loss of no wickets in the eighth over and were looking comfortable. O’Reilly has been in excellent form with the bat and the hopes were that he would continue his excellent play, especially with Jones starting so strongly at the other end. However, as the tenth over approached he spooned Max Egan’s good-length ball into the sky leaving wicket-keeper Aidan Kelleher with a relatively comfortable catch for the crucial wicket. Jones was picking up the mantle however, and passed fifty comfortably before, in the 15th over, he scooped Diarmuid Carey’s full delivery under the leg cover McCarthy who couldn't make the grab. It seemed that was their chance lost but Carey worried not, catching Jones trying to play around a straight delivery and bowling him for an extremely impressive 79. That was the breakthrough PBC needed, and after Brian Kelleher trapped Brewster in front the Community School side struggled to 147 all-out, just under the 150 total that was considered to be par on a fine Mardyke pitch. In response Pres got off to the worst possible start as Jones extracted his revenge on Carey, bowling him second ball with an excellent delivery to send in Ryan O’Connell to join Aidan Kelleher. The pair were motoring along nicely, and had Pres at 39-1 after six overs before O’Connell was forced to retire hurt with back spasms. That brought Aidan’s brother Brian, fresh off the wicket he took in the first innings, to try and reignite the Presentation run chase. The pair have been playing cricket for Cork County for the past six years almost and showed how brotherly love can translate to the cricket pitch. Aidan began to stretch out his shots, and hit a number of towering sixes while Brian was showing some real craftsmanship to keep the run rate ticking over, the pair’s excellent running putting the combined side under enormous pressure in the field. With their side almost over the line it was therefore a pity to see younger Brian caught by Isaac Whittaker off O’Reilly’s bowling to deny the pair a chance to close out the game together, however back came O’Connell with a fine cameo to secure Presentation Brothers College the win.